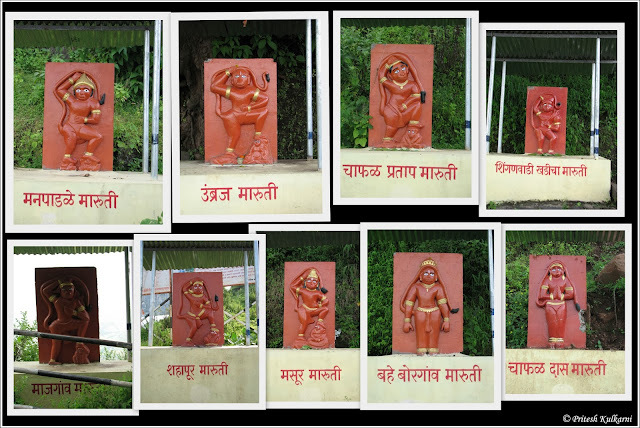 After Kaas trip, we had half day time left to visit few other places near Satara. My parents suggested me to drive towards Thoseghar waterfall. They wanted to watch Thoseghar waterfall and Sajjangad fort. 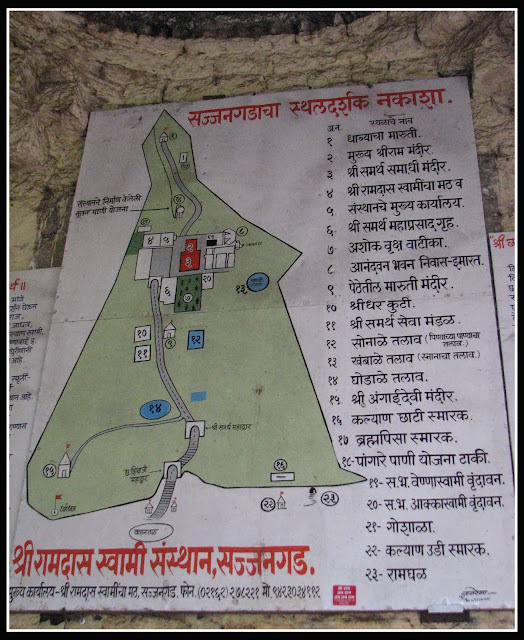 As we were in Satara on Saturday night and went to Kaas in the early morning, we had plenty of time to cover both the places. 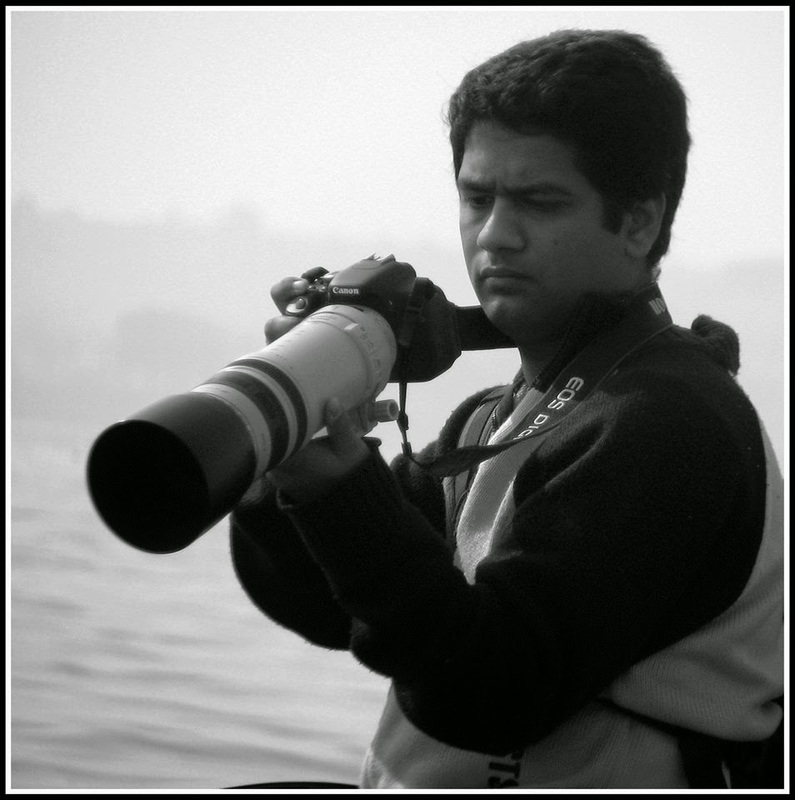 I thought of writing different blogs in these places rather than combining them together. You can read Travel blog on Kaas visit by clicking here. 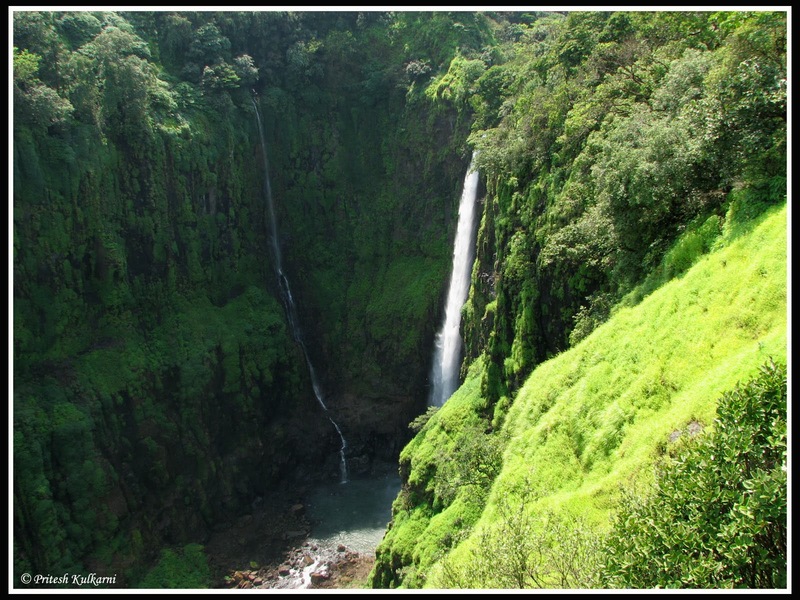 Thoseghar waterfall is a Maharashtra’s famous waterfall near the small village Thoseghar. It is around 22 km from Satara city. 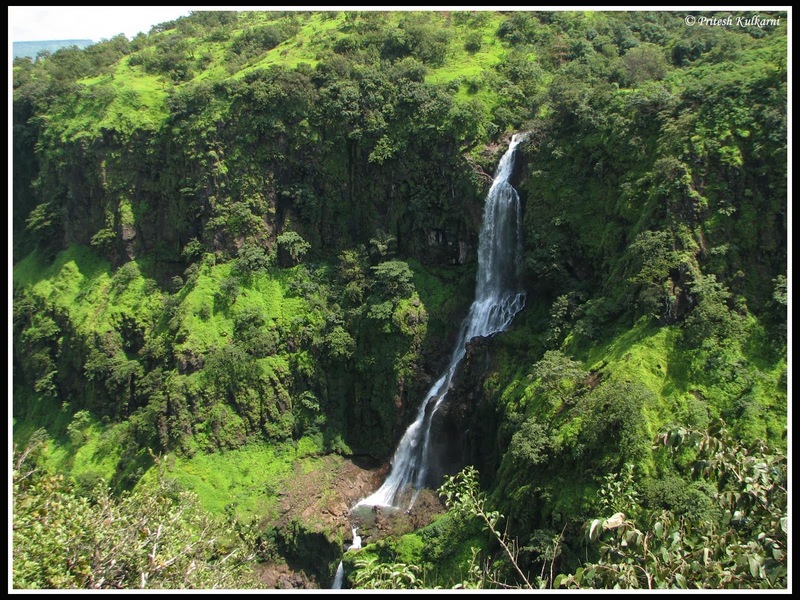 This is typical monsoon waterfall where people from all over Maharashtra visit this area. You cannot enter the waterfall. The surrounding area is very calm and covered with dense forest. 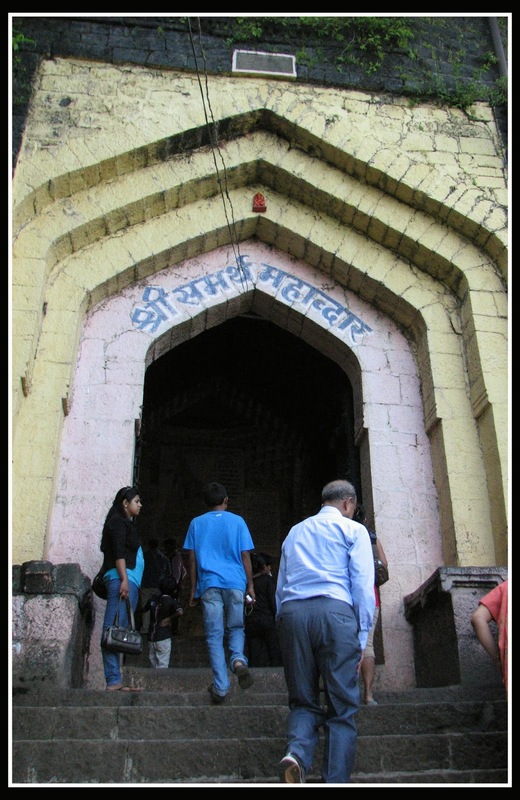 Sajjangad fort (meaning “Fort of good people) is located around 12-13km from Satara city. It is the final resting place of Sant Ramdas, a saint and social reformer in 17th century India (born 1606).His teachings and works written in books such as Dasbodh are read and followed by many people even today in the state of Maharashtra. To reach at Thoseghar/Sajjangad from Pune is Catch National highway 4 (Mumbai-Bangalore highway) towards Kolhapur/Bangalore direction – Drive for around 104 – 106 km on NH4 – you will able to see Satara city on your right side – Take a right turn to enter in Satara (Sign board are there to guide) – Cross Satara through pawai Naka –After few km drive, you will see Y share junction and tunnel on left side –Enter in the tunnel as which goes towards Sajjangad fort and Thoseghar waterfall – Sajjangad is around 10-11 km from Tunnel – Thoseghar waterfall is around 21 km from tunnel. Travelers for this trip were me, my wife Renuka, my parents and sister Pratima. 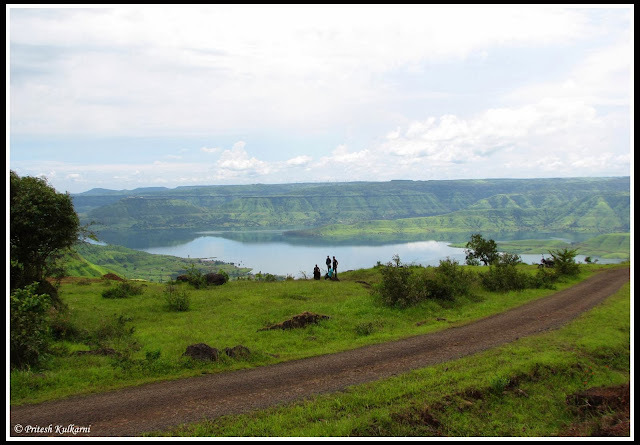 We wanted to visit Kaas plateau in the early morning and then Thoseghar waterfall and Sajjangad so we decided to travel to Satara on Saturday. Stay was not a problem for us as my mother was born in Satara. She had spent nearly25 years in Satara before her marriage. We left Pune by 7 PM and reached Satara at around 9.15 PM. We stayed at mother’s best friend’s place. We woke up early morning and left for Kaas plateau. We reached Kaas by 7 Am and then left from this lovely place at around 12.30 PM. Our next destination was Thoseghar waterfall. We drove back around 22 km and reached tunnel point. Our journey begins with a waterfall welcoming us. The route to fall was very scenic even in the month of September. View of Sahyadri is breathtaking. After driving for few kms, you can see huge windmill farm on a large plateau known as Chalkewadi windmill farm. There were enough parking spaces at Thoseghar. After paying a nominal entry fee, you can view the waterfall. There is a platform which gives a good view of the waterfall. You have to climb down a short distance before you reach the viewpoint from where you will be able to see the Thoseghar falls. Climbing down is not a problem but it is a bit tough to climb up again. There are 3-4 waterfalls visible from the viewpoint.The biggest one is to the right and not completely visible. The one straight ahead is also big and has two layers. There is one small local restaurant at Thoseghar parking. We had our lunch there. I am not sure, but I think the name of the restaurant was “Thoseghar restaurant”. You need to order in advance as they need at least 30 min to prepare your meal. Best way can be, order your food and then visit the fall in 45 min and have lunch in the restaurant. Pithle Bhakri is very tasty whereas rest of the food was average. They also serve Chicken but we didn’t order as Ganesh festival was going on. After our lunch break, we proceeded to Sajjangad which was our last destination. For Sajjangad, It is possible to reach the top of the fort by vehicle. From there one has to climb around 185 steps to reach the gate of the fort. The fort was made by Bahamani Emperors in between (1347-1527). After that in (1527-1686), it came under Adilshah dynasty. Mughal king defeated Adilshah and the fort came under the Mughal rule. Shivaji Maharaja conquers the fort and it was renamed to Sajjangad after he requested Shri Ramdas Swami to set up his permanent monastery.There are two maha-darwaja (means entrance gate of the fort), first known as “Chatrapati Shivaji mahadwar” and second as “Shree Samarth mahadwar”. 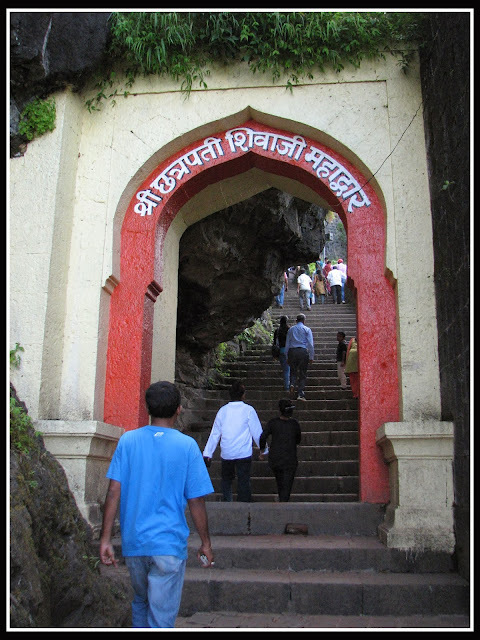 The fort is open for devotees from sunrise to sunset. Being a place of Samadhi by Samarth Ramdas Swami, the spiritual guru of Chatrapati Shivaji Maharaja, it is a holy place.The maintenance of the fort and the Samadhi (final resting place) of Ramdas is taken care by Ramdas Swami Sansthan, a trust which has existed since the time of Shri Ramdas Swami. 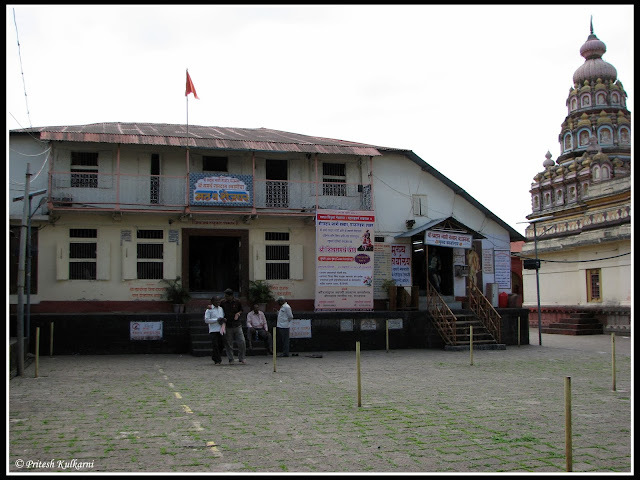 The trust provides free lodging and food for the devotees of Samarth Ramdas Swami. Thanks for reading this Travel Blog. Happy travelling. Do you have contact no of trust authorities at Sajjangad, if one wants to stay at night ? Thanks for valuable information. We are from Goa. family of 2+2. planning to visit Sajjan Gad. Is there any option for stay at Gad?